Attending a premiere of something. Honestly, this is one item I put on my life to-do list and did not expect to ever get crossed off. How would I (an engineer with absolutely no connections in Hollywood) ever get invited to a premiere of something?? It just goes to show how incredibly unpredictable life can be! And how timing is absolutely everything. Mr. Doodlepop happened to be listening to the radio when he heard ‘world premiere’ and ‘free tickets’. He went on the advertised website and signed us up for 4 tickets to see the world premiere of 13 hours: The Secret Soldiers of Benghazi. At this point, we didn’t quite know what we were getting ourselves into, but we knew 4 things: 1.| the movie was directed by Michael Bay who also directed Transformers and is known for his special effects (especially explosions) 2.| Jim from the Office was in the movie (aka John Krasinski) 3.| it was at AT&T Stadium which is just a super cool place in itself 4.| it was free!!! On that fine Tuesday night we got dressed up and were ready to hit the red carpet. With 4 free tickets, we brought 2 close friends with us and introduced them to the wonderful world of free date night. We decided to pop a bottle of champagne in the parking lot just to keep things fancy (and I love any excuse for bubbly!). Then we waited in a line for about 15 minutes and were in! 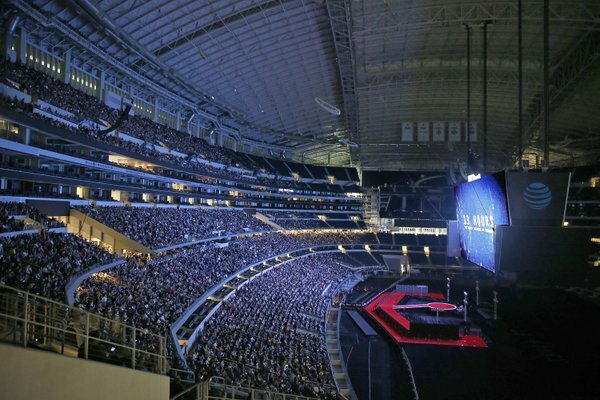 The Dallas Cowboys stadium had been transformed into a movie theater with the jumbotron at the center of attention and the red carpet down below. A stark difference from the usual green turf and painted white lines. 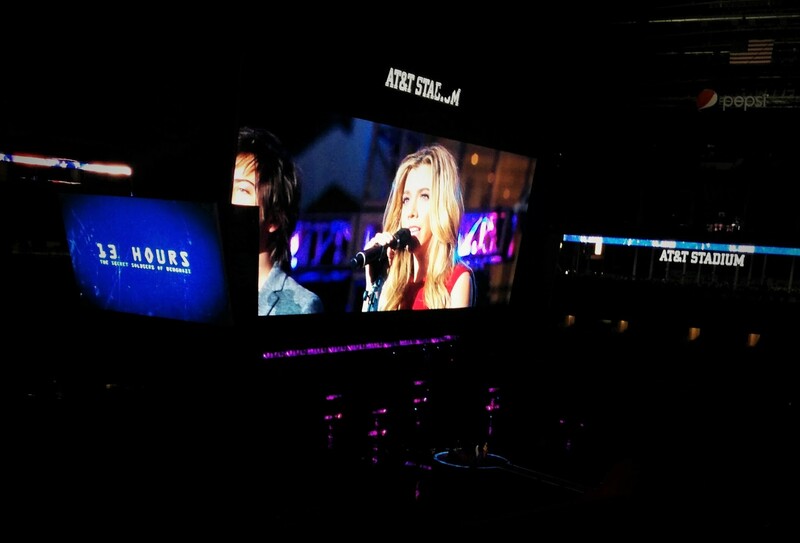 Not only did we get to view the movie with thousands of others (complete with free popcorn and drinks), there was a surprise performance by The Band Perry to kick the night off! They performed a rendition of “Amazing Grace” and it was beautiful. The absolute highlight of the night was 3 of the surviving soldiers attended: Kris “Tanto” Paronto, John “Tig” Tiegen, and Mark “Oz” Geist. Their presence was truly inspirational, impactful, and made for an incredible night. I will never forget the blanket of awe, respect, and disbelief that fell across the stadium after the movie ended and the surviving soldiers returned to the stage. The applause was slow to die down and there were not many dry eyes in the stadium. 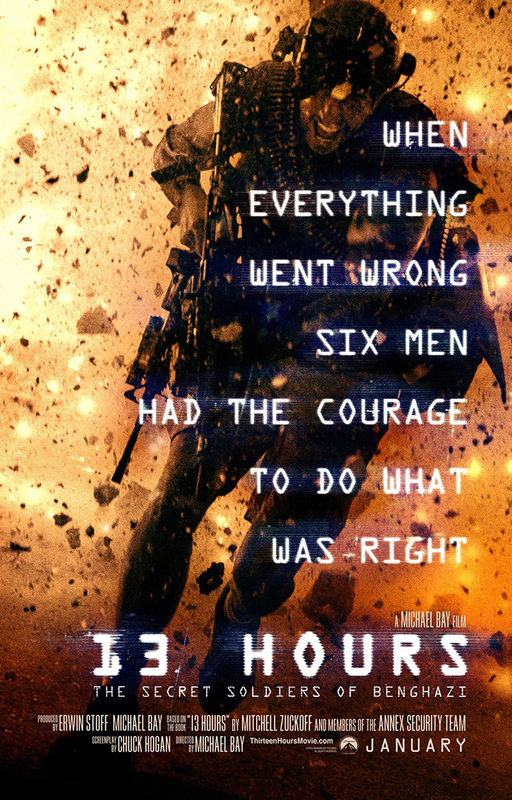 I highly recommend this movie and learning more about the 2012 attack on the U.S. consulate in Benghazi, Libya. Another item checked off the life to-do list and another crazy, once in a lifetime experience!